Am I being a bad parent... by refusing to let my daughter wear dresses? This mum hates the idea of “ultra-girly” clothes, but her six-year-old doesn’t feel the same. GIRLS AND BOYS should be able to wear whatever they want, regardless of gender stereotypes, right? But if your daughter favours a wardrobe full of pink and glitter-covered clothes, or if your son’s absolute favourite t-shirt is blue and covered in spacemen, then there’s not a whole lot you can do, as one parent has recently realised. Each week in our new series, Am I Being A Bad Parent?, we hear from a reader who can’t figure out if they’re on the right track with a parenting decision, or if they’ve gotten something 100% wrong. To get a balanced view of the situation, we put the dilemma to a group of Irish parents, keeping things anonymous to encourage honest answers. Yes, you’re being unreasonable. It’s admirable that you want to give your daughter a chance to be her own person and not slot her into the pink and glittery category. But that also means respecting her choices. Don’t shame her if she wants to wear a dress. Make sure she has practical items of clothing in her wardrobe but let her wear what she wants. No, I don’t think you’re being unreasonable, but don’t say ‘no’ outright. 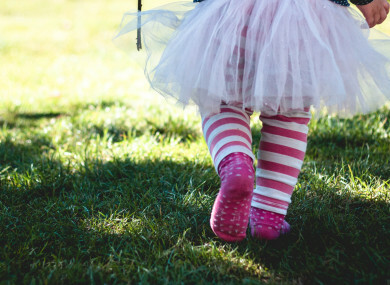 There are ways to explain why you are against dresses in your child’s language – for example I noticed that when my little girl is wearing a dress that she can’t crawl/climb/run/move with the same freedom. Say that you don’t want to restrict her play or stop her running around as freely. I think you’re being unreasonable – and a little harsh. If your little girl wants to wear dresses then don’t deny that because of your own feelings about stereotypes. That feels like projection and not letting her live her own little life. I understand, but I think you’re being unreasonable. I often have similar thoughts about my daughter, even though she is younger. She loves dresses and is frequently reluctant to wear anything else, despite lots of early efforts by us to dress her in gender neutral clothes. There is lots of unconscious reinforcement of gender norms out there – I think that when she wears dresses, people probably compliment her on her appearance in a way that they don’t otherwise. So I’m not totally comfortable with it. But I think there are more powerful ways to send a message about gender parity. Help! Am I being unreasonable? We’re looking for parenting dilemmas from our readers for our Am I Being A Bad Parent? feature. Drop us a line with your reader dilemma on family@thejournal.ie. And want to win a two-night family getaway with a day out at Dublin Zoo or Tayto Park? Enter here! Email “Am I being a bad parent... by refusing to let my daughter wear dresses?”. Feedback on “Am I being a bad parent... by refusing to let my daughter wear dresses?”.